We were delighted to see so many parents join the Key Stage 2 pupils and in particular Q6 for our Harvest Festival this week. Q6 did a fantastic job of showing us all the wonders of the colours we see around us with choral speaking, plays, poems, rhymes, song and even dance. It was a pleasure to watch them perform with confidence and speaking so clearly. 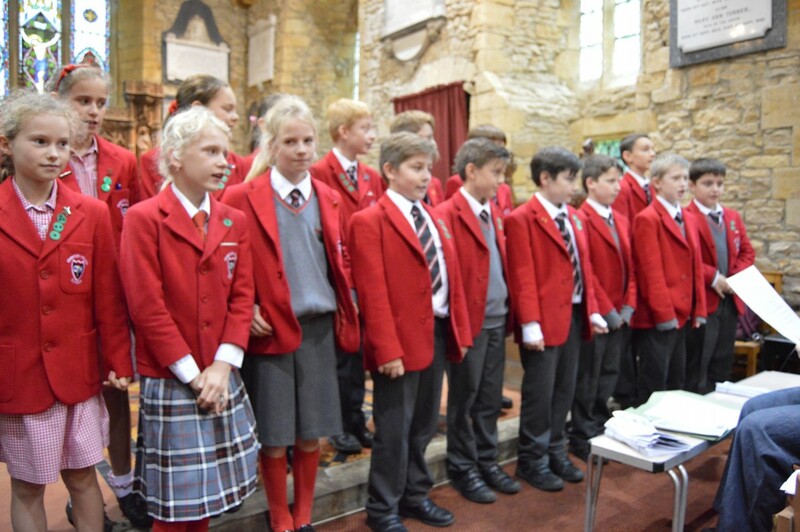 All of the Junior School were able to see the performance and join in with our celebration, especially the singing of Conkers, which I am sure gets louder every year. We are very grateful for all your donations which are now bagged up and ready to go to the Hope Centre. The Hope centre help feed and support the homeless of Northampton and in their performance the Q6 were very good at explaining why it is so important for us to help others less fortunate than themselves. It is a message I’m sure Q6 will remember and one which we support in many different ways throughout the year. Well done to all of Q6 on their assembly and the hard work that went into it.